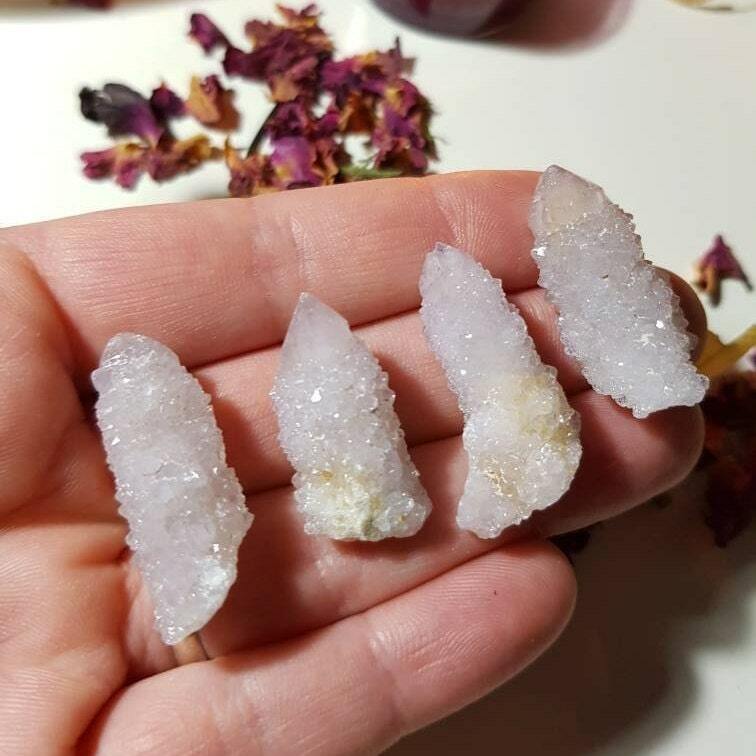 Sometimes called “Cactus Quartz” or “Spirit Crystals,” Spirit Quartz is an unusual quartz that has many very small crystals growing on a central stone. 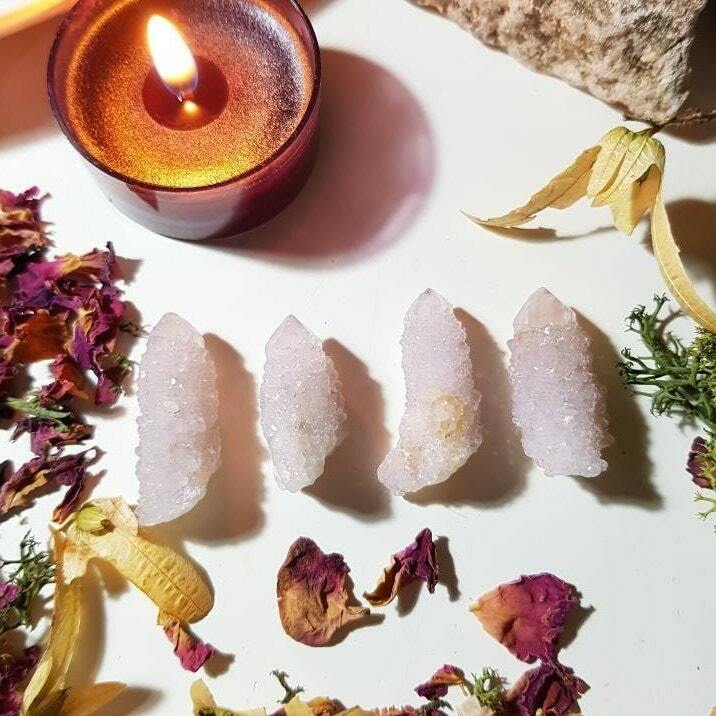 Each tiny crystal radiates energy with all of these little crystals working in harmony to radiate a very strong vibration. 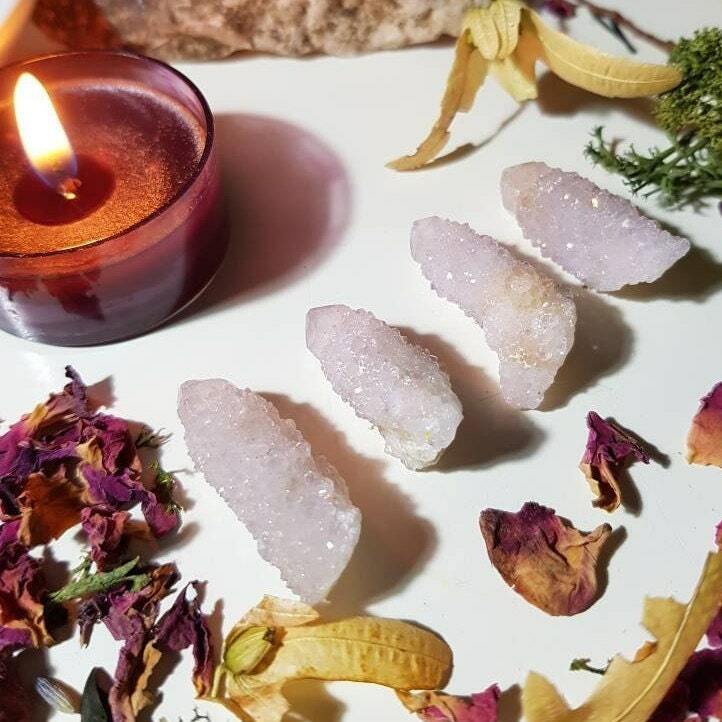 These stones have powerful metaphysical properties that make them excellent stones to aid spiritual growth. This makes a single piece a quite powerful stone. Measures approx. 3cm x 1.5cm.